Ms. Mulcahy’s Building the Successful Theater Company proved to be a valuable resource for theater people around the country. So the question is whether her enhanced and expanded second edition adds to that value. The first edition gave a lot of attention to a number of comfortable theater companies. Ms. Mulcahy investigated and described the methods used by the people behind some of the more long-lasting theater companies. The second edition, while not completely revised, has more to offer the adventurous newcomer. The author is an experienced theater veteran who has viewed the art form from every imaginable angle. She is an actor, teacher, scholar, director, producer, and entrepreneur. Very little of her advice is from the world of pure theory. It all has the calluses and blisters gained through practice. However, Ms. Mulcahy doesn’t ignore the artistic in her effort to set forth the practical. The artists’ integrity, she emphasizes, is the main ingredient in the success formulas of the many companies she explores. Marketing and publicity alone might draw a crowd, but they won’t build an enduring company. It is endurance and resilience that figure heavily in the author’s definition of a successful theater company. 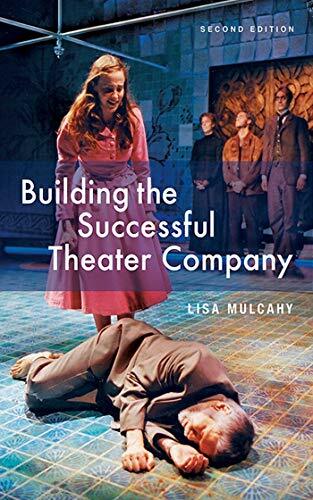 One of the things that makes Building the Successful Theater Company a truly usable reference is the author’s consistent blending of that dedication to the artistic purposes of theater with the fact that building a theater company is building a business. Ms. Mulcahy is emphatic about the need for a detailed business plan, and she gives clear advice on building and dealing with boards of directors. Much of this material was in the first edition, but the second edition goes even deeper in its exploration of the financial aspects of the process. She points out the impact that the attack on the World Trade Center had on the economy of the United States and of the world. She acknowledges the fact that the arts have suffered from funding cuts and donor attrition, but her attitude is still positive. Yes, there are failures, mistakes, and major disappointments described in the book. The author never implies the voyage is easy or that success is guaranteed. Building the Successful Theater Company is a good companion to have along on the journey. In fact, its insights, anecdotes, and theater history would make the book a good read for anyone who is interested in theater, whether they have considered starting a company or not.